I posted about the bodice of this gown before, but it’s now officially done! This was my big project for this year. 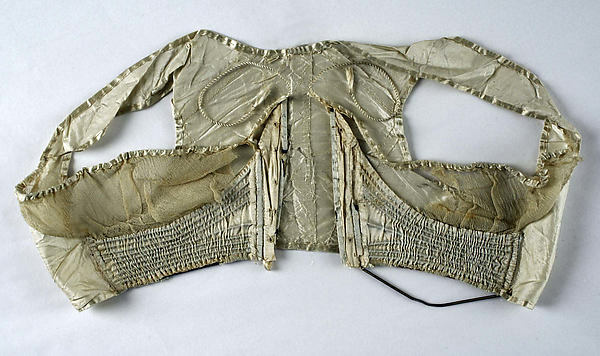 A completely hand-sewn 18th century dress, out of silver silk. It was my first foray into 18th century dressmaking, and I used the American Duchess book as a guide. The pattern is strongly based on the Italian gown in the book. I made some slight alterations to the back neckline, and to make it fit me. To turn it into a round gown, I simply added an extra skirt panel center front. The bodice construction was done as described in the book (blog post here), and also the main reason I wished to do this by hand, as it’s not quite possible to follow the same techniques when sewing by machine. For instance with the shoulder piece, which is attached to the outside. The skirt was fairly straight-forward, just 3 panels of 150cm wide, with slits on either side of the front panel and pleated at the top. Pleating the back skirt, here basted together with red thread. I basted both a couple of cm above and below where the bodice would be attached, so the pleats would stay properly in place when attaching it to the bodice. The front panel is attached to a waistband which is tied around the waist before putting on the bodice, while the back panels are stitched to the dress. The dress is currently untrimmed, and so relatively simple on it’s own. To complete the outfit, I planned to have a sash, fichu and a hat. The sash was simply a vintage blue ribbon, and the fichu a triangle of very thin white cotton, which I hemmed by hand. The hat was more work, and the biggest hat I’ve ever made. I based the proportions on a portrait, drawing lines through the face and hat to see how wide the hat was relatively to the head. One of my main inspirations, and the one I used for scale, is this portrait. Her hair is deceptively wide, just look how it extends almost as far on either side as her head is wide. The hair definitely makes the hat look ‘not quite as huge’. 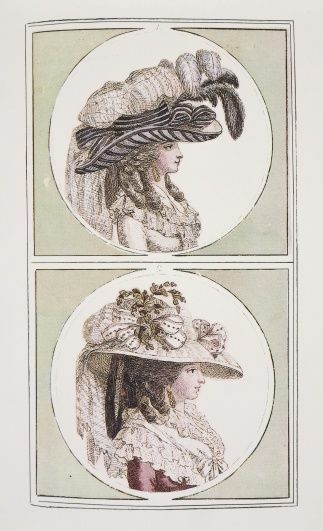 I’ve long admired the hats made by the Modern Mantua maker, and she really inspired me to look at fashion plates for hat options. In the end, I settled on stripes at the bottom of the brim, and ribbons and bows around the crown. I didn’t have striped fabric, and not too much of my base fabric (the dark grey). So I got some paler ribbon, and cut strips of the fabric, and stitched those together to form the covering for the bottom of the crown. I finished the hat by adding two ribbons around the crown with little bows. My method was a bit of a mix-up between the one from the Modern Mantua maker, and from the 1790s hat in the American Duchess guide to 18th century sewing. To finish the full ensemble, I styled a wig. I have very long, quite thin hair, and the idea of untangling it after doing a hedgehog style was slightly terrifying. So wig it was. When I wore it, I curled the front of my hair and blended that into the wig, which worked quite well. The hat really needs the huge hairstyle to give some proportion to it, and I’m quite happy how it worked out! This dress will have a second outing in November, for a ball this time. I have some beautiful antique cotton lace, which I plan to use to trim the neckline and sleeves. Stay tuned for version nr. 2 in a bit over a month! For now, pictures of the whole thing worn! The dress from the back and sides. And some portraits of with the hat! I mentioned some of my plans in my last post. By now, the 1780’s project has been done (iteration 1, at least), and I will wear it next weekend. Expect more posts after that, because then I’ll actually have proper pictures of the whole thing, dress and hat. It also means I’ve been slowly shifting focus onto the 1830’s project. Just a quick disclaimer; I don’t know if I’ll actually be able to finish this before the January deadline, because I also have a lot of other (non-sewing) stuff going on. But I’ll very probably start it nonetheless. 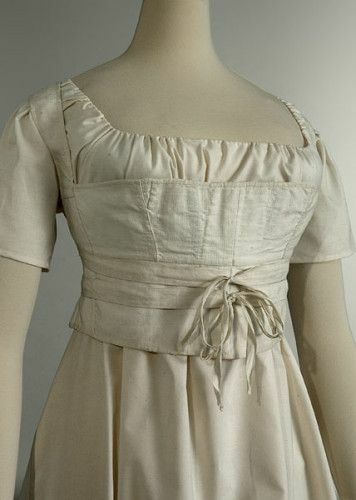 For my first 1830’s project, I’ve actually chosen a dress from later in the decade. 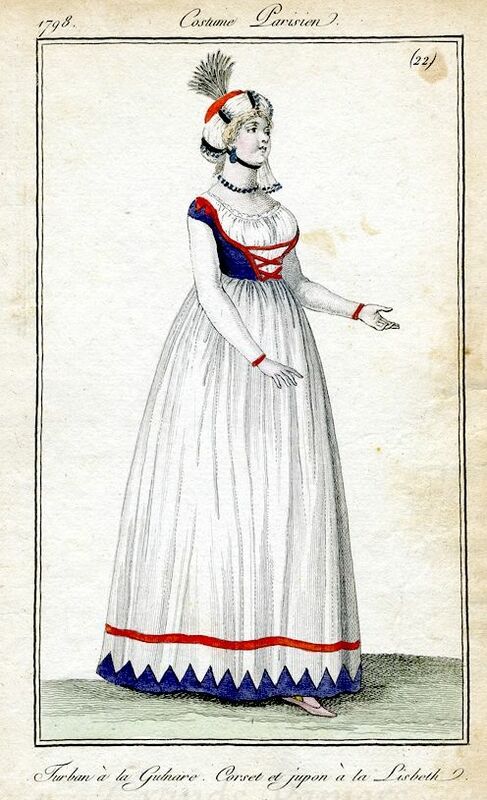 And that means it also doesn’t have the huge sleeves the 1830’s are so famous for. I didn’t do that because I don’t like large sleeves, because they’re really fun. I made that choice, because in the latter half of the 1830’s, you get sleeves which basically start with the same amount of fabric, but where the sleeves are then pleated and smocked in various ways to make a relatively narrow sleeve out of all that fabric. And I just really love this style of intricate sleeve. So, in this post, some inspiration pictures of 1830’s sleeves you might not have considered typically 1830’s huge, but which are very pretty! This dress started my love for the sleeves in this era. Three rows of tiny pleats, with strips of fabric in-between, and piping, of course. 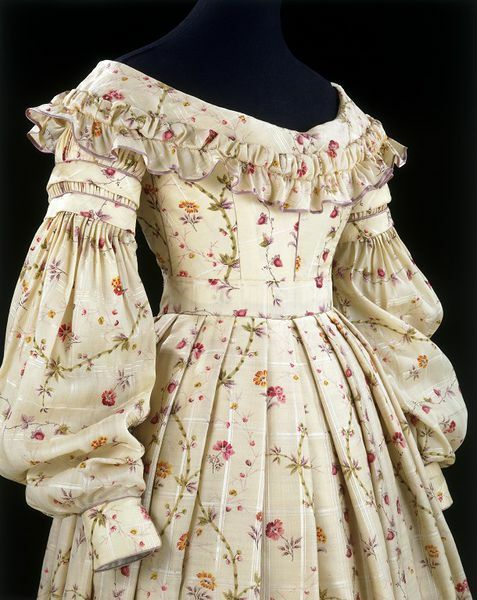 I found this picture ages back, and for a long time, it was one of the few 1830’s dresses I truly found pretty and inspiring. The craziness eventually grew on me, but I still love this dress. Then, of course, there’s the dress I’m planning on recreating. With the same narrow gathers at the top, but than a wider band around the sleeve with a rosette. 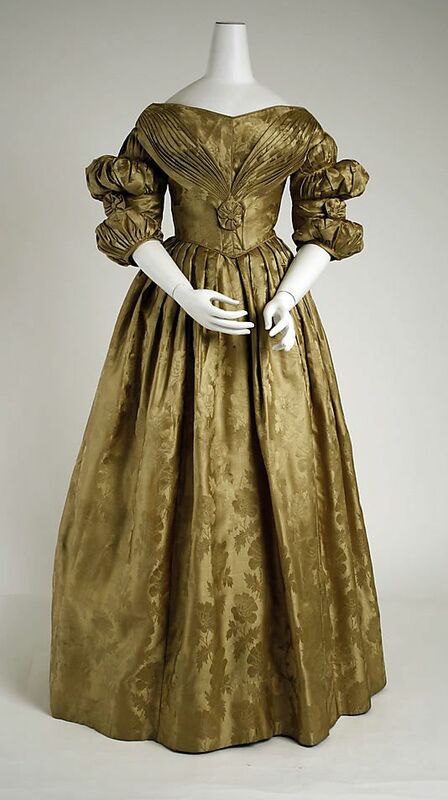 There seems to’ve been a bit of a thing with gold colored silk dresses in this era, if you look at the MET collection, as they have a lot. This one also features the typical small pleats, but finishes off the bottom one with a bit of lovely trim. (And look at those tiny gathers at the wrists! There’s endless variations on the theme, and all are just a little different. This one has very narrow pleats, finished off with a bit of ruffle. This dress actually keeps up the gathering all through-out the sleeve. It has tiny cartridge gathers at the top, and then after that bands to gather the volume down in different places. The previous dresses are all in silk, but the trend was definitely applied to cotton dresses as well. More difficult to see, due to the prints, but it’s all in the details! 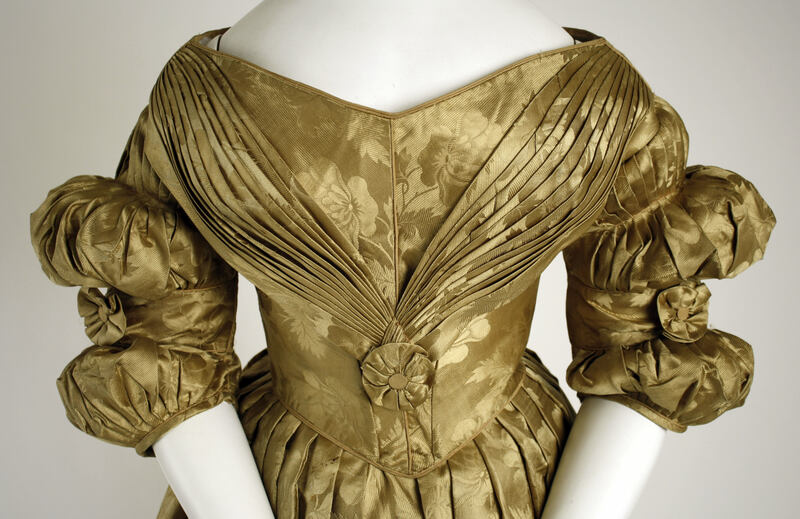 This one is actually quite similar to the palest gold dress above, but with two rows of pleats before the gathered ruffle. Most dresses feature long pleats, but this one has gathers instead. You can almost see where the gathers have been stitched down in places to keep them in shape. A bit more difficult to see because of the angle, but the cut of this bodice is so pretty it deserves a spot. The sleeves seem to have two rows of pleats and bands inbetween. Most of these dresses were from the MET, simply because they have the best pictures, but to finish off, a Dutch example. I’ve had the pleasure to see this dress in person, and admire the sleeves. Summer is nearing it’s end, and it feels like a good time to take stock, and look ahead. At the beginning of the year, I only had a couple of concrete plans. The historical one’s have been realized. Of the two vintage dresses I had planned, one has been started. At the moment, my plans for the coming months are quite settled. First up is finishing the 1780’s round gown. It only needs a hem at this point to be wearable. I’ll be wearing this to an event in October, and I’m thinking of leaving it untrimmed until then, and finishing the look with a sash and fichu and a fabulous hat instead. I’m currently working on those! 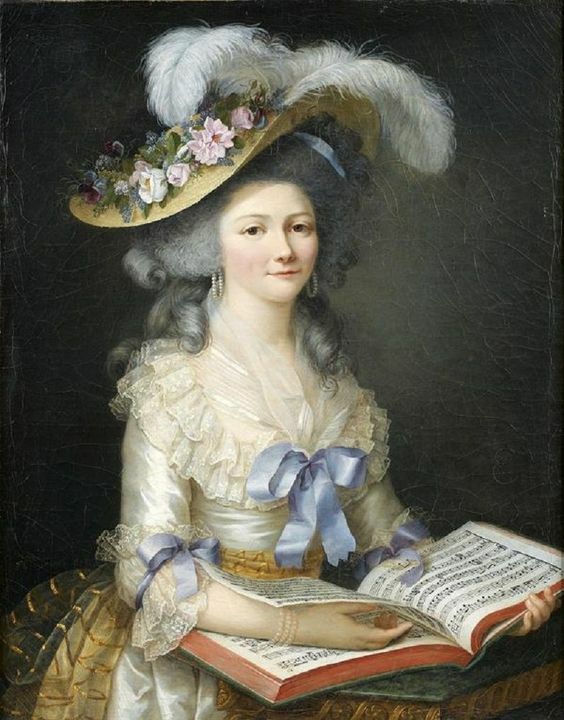 I’ll be re-wearing the gown in November, for a ball with the theme being 1773. My dress is a little later, so I thought I’d add lace flounces around the sleeves and neckline to put it a bit more into the early 1780’s at least. That would also mean it gets a ‘new’ look compared to the October event, which I like. After that, the first event will be in January. The theme for this ball is 1830-1860. I’d first planned to wear my black velvet 1860s dress, because I’d never worn this to a ball before. 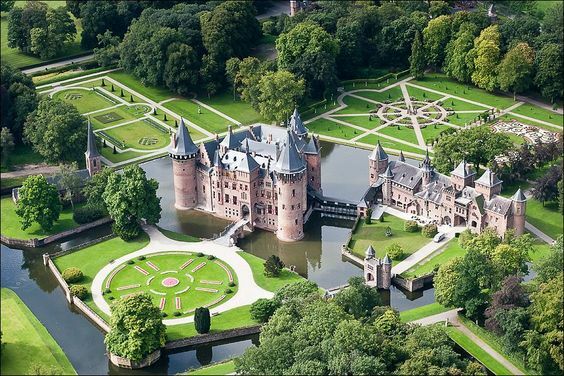 However, with the impromptu visit to Brussels last month that has changed, so I’m reconsidering my options. The 1830’s have been on the list for quite some time, and I already have fabric for a possible dress, and a design in mind. So I think I’ll aim to make that instead, and if I run out of time (as I also need to do underwear), I can always wear the 1860’s dress. This is the design. I love this, so might try to actually copy it as closely as possible. For next year, plans are also lining up! 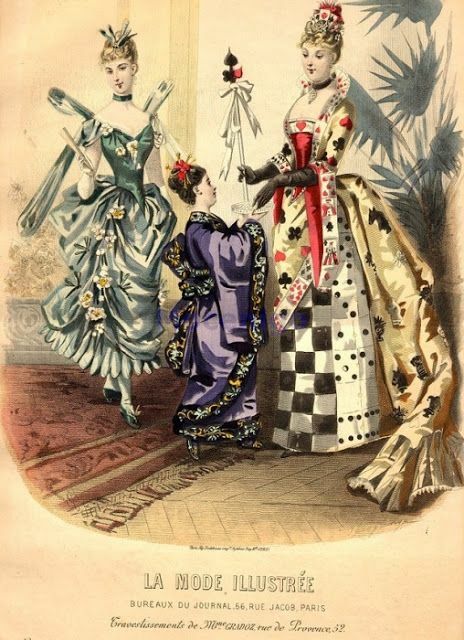 There’ll be a Victorian Fancy dress ball in April which I want to go to. I have some purple/gold changeant silk organza in stash, and it would work really well for a fancy-dress outfit. 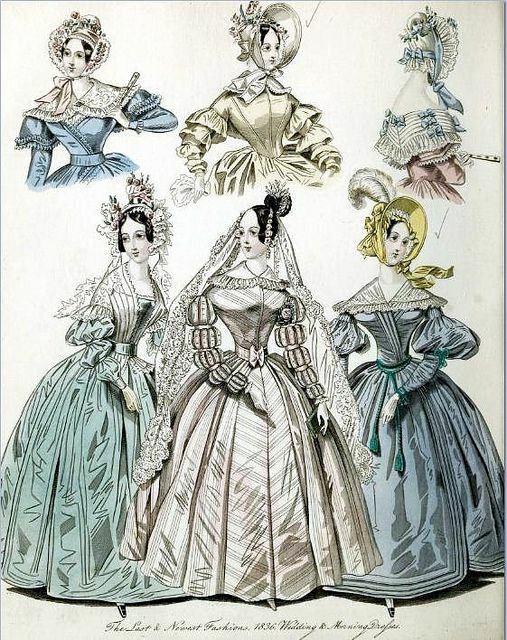 I’m thinking of doing something 1880’s style, with a shorter skirt as you sometimes see on fancy-dress fashion plates. The design hasn’t been quite settled yet, but I’m thinking of doing something lavender/queen/fairy like. Ideally, I’d be able to ‘remove’ the purely fancy dress parts, add an underskirt to make it longer, and wear it as regular 1880’s ballgown as well. Because I’m all for re-usability! Maybe something like this fairy, design wise. A little while back I was leafing through a book by the Gemeentemuseum in the Hague, ‘Romantische Mode’, which accompanied their exhibition on 19th century fashion a while back. 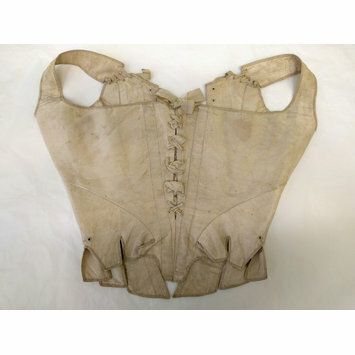 And in a chapter on silhouette I stumbled on an item I hadn’t really noticed before, namely this garment, labeled as ‘small corset (korsetje) 1800-1825’. 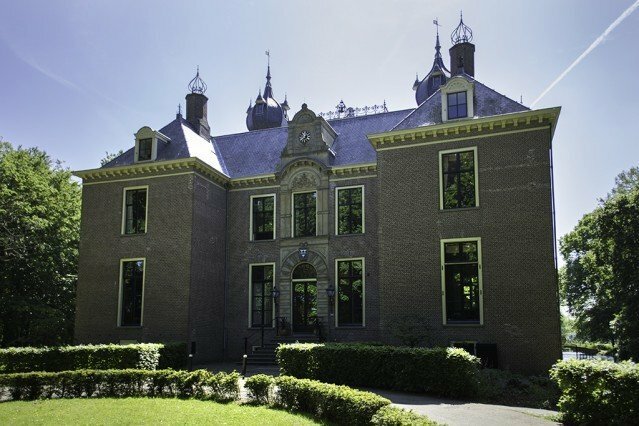 Gemeentemuseum Den Haag. Thanks to the museum for providing me with a High-res image, as it doesn’t have an online page. Click for full scale. I was intrigued, as it seemed to be a type of Regency short stays I’d never seen before. Particularly the high center front, and the gathers. So I went online, and did some searching, went down the rabbit hole, and found some more interesting things. Such that the ‘typical’ regency short stays I always thought of don’t seem to exist. That this was obviously a transitional period, as several existent stays represent unique styles. And that they had stretchy garments in the Regency period, way before the spandex corsets of the early 19th century came onto the scene. 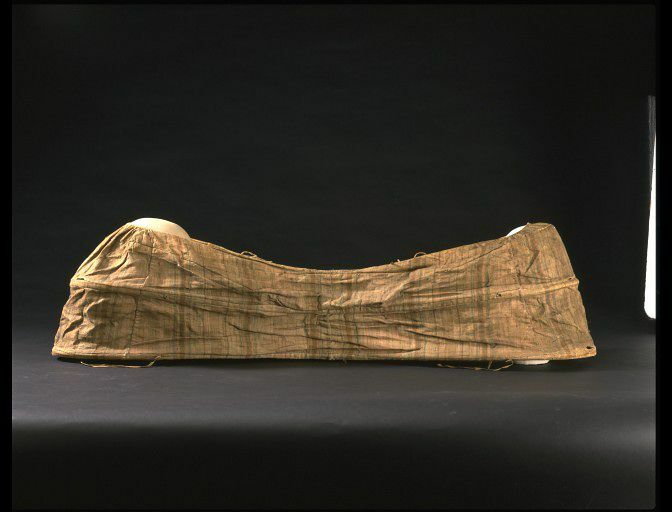 The type of garment shown above includes metal coils, making it stretchy. 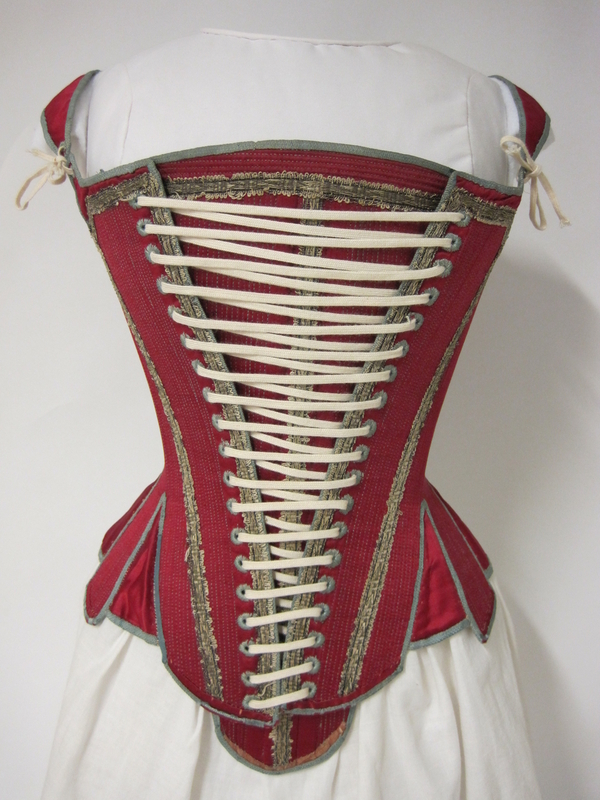 They even seem to have had a name, the ‘corset elastique’. This explains the gathers, which initially confused me. Then I posted this post, got some more feedback on this garment, and stuff got more complicated. So this is the revised post with my findings and thoughts! First, let’s start with a bit of an overview on short stays. I was familiar mostly with reproductions of short stays. My own pair is made with the Sense & Sensibility pattern, and that seems the predominant type of short stays made. The main characteristics of that pattern are: short, front lacing only, with bust gussets. Couldn’t find a source for this though. Similar to the one above is this pair, the main difference being the lack of front lacing, and wrap around ties. It doesn’t have front lacing, and the straps go around and tie in the front, but it does have the bust gussets, and it’s short. To wrap-up, there are not actually all that many ‘short stays’ out there. The vast majority of what has survived are ‘longer’ stays. When looking for information, I also stumbled on some wonderful posts by ‘Kleidung um 1800‘, who did some in-depth research on stays of the very early 19th century, including on ‘short stays’. She looked at period descriptions naming ‘short stays’, and actually made some of them following period instructions! She noted that many of those actually look more like ‘longer’ stays, but are just quite light-weight and with a little boning. I won’t be repeating her findings here, so I’ll just refer to some of her posts, about the period ‘short’ stays, and another pair without lacing. So where does that leave us with the garment that started the whole search? 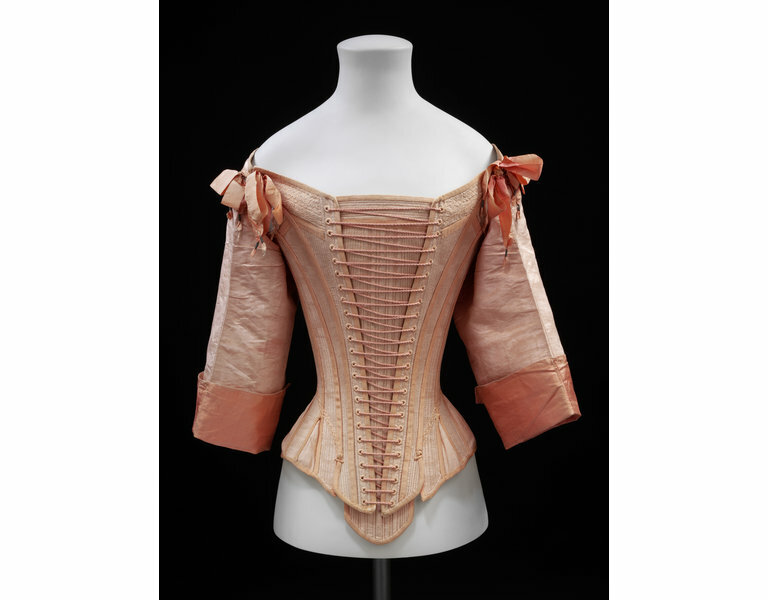 Well, surprisingly to me, I actually found a number of examples of the ‘corset elastique’, similar to my original find. These examples are all really short, shorter even than my find, have front closing, and they all include metal springs. This pair from the MET was the first one I found. And it’s strikingly similar to the one from the Gemeentemuseum. The gathered front, the high center front boning, front lacing. The main difference is the existence of sheer cups. This is the only pair I found with cups. Given how sheer the fabric is, this was probably mostly for control or decoration. The high-resolution image also allows you to see the metal coil which has escaped from the bottom. This was the first ‘aha’ moment. The coils explain the gathers. This was the first image, and the one most similar to my own find, but I found more. These two examples show the same gathering around metal coils, though they don’t have the high center-front of the other two. They are also both in color. 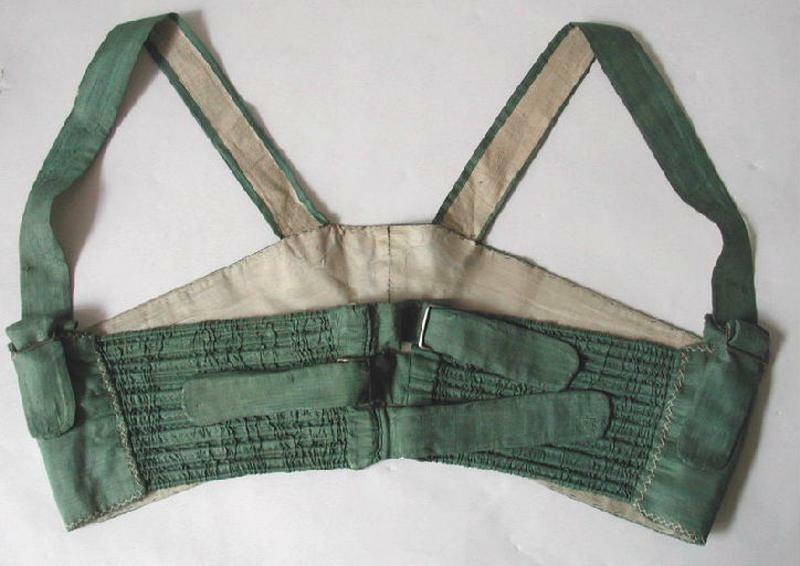 This example has crossed straps in the back (follow the link for more pictures), and the straps attach with small buckles. The final example is also straight across, and has a slightly different type of front closure. 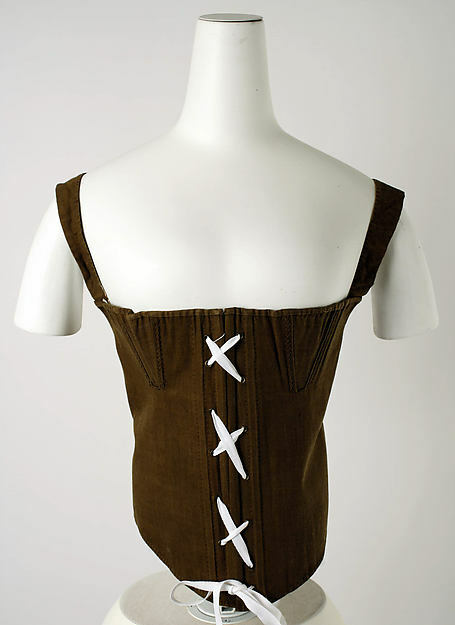 This museum also gives the corset it’s name, the corset à élastique. 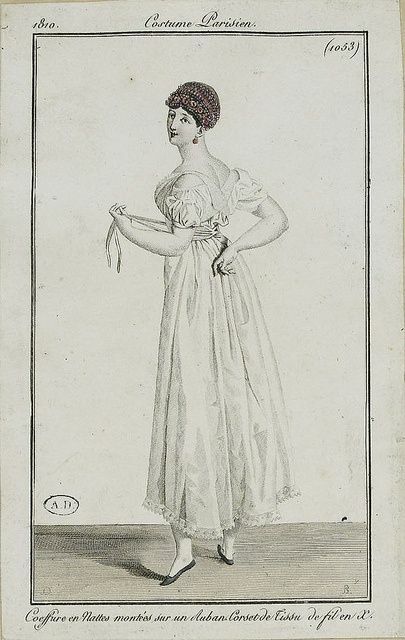 And searching by that name, I actually found another example, this time in a fashion plate, from the Journal des Dames et des Modes. Looking closely, you see the three straps in the front, with little stripes, exactly like the previous example. And it’s got the crossed straps from the third one. 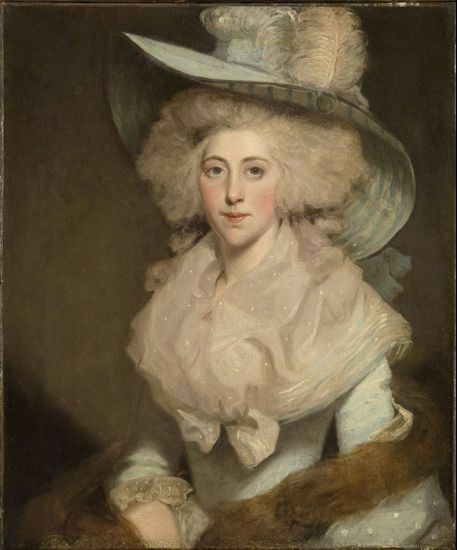 This is supported, firstly, by the fashion plate below, which shows a very similar garment worn over an outfit. It also makes sense given the darker colors of the last two items, as most dresses in this period were sheer and white, and most underwear would also be white. Of course, history is always good at exceptions. So if they are outerwear, what’s up with the fashion plate from the Rijksmuseum, clearly showing them as underwear? One reason for this might be that fashion magazines copied from one-another, and might have mis-interpreted it. Again, thanks to Sabine for this theory. It might also be the case that, because of how much fashion was transitioning, that people actually wore these in various versions as outer or underwear. To me, the boning and metal coils seem to point in the direction of shaping the body. 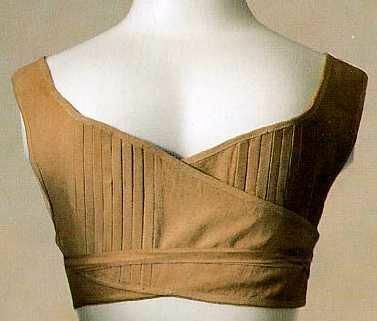 Something that most other ‘bodice-type’ garments of this era that I’ve seen don’t do. It makes more sense to me that they were, at some point at least, also meant as supportive garments, but that’s purely my own theory. Most I know of look more like this. No boning/structure involved, as it’s worn on top of undergarments, that isn’t necessary. 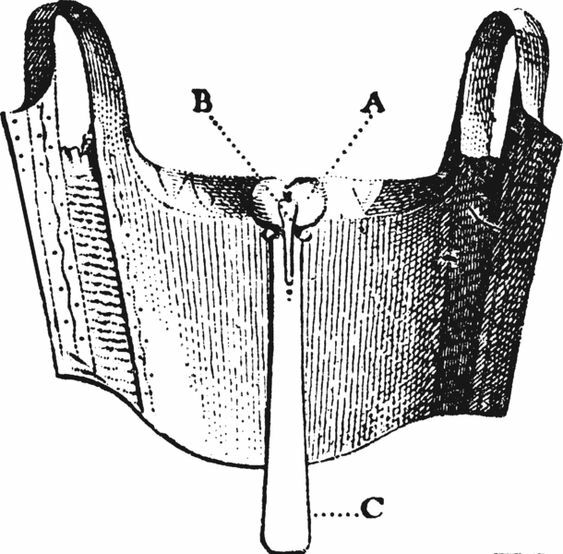 Just a quick note on terminology, I’ve seen the term ‘corset’ (in French!) 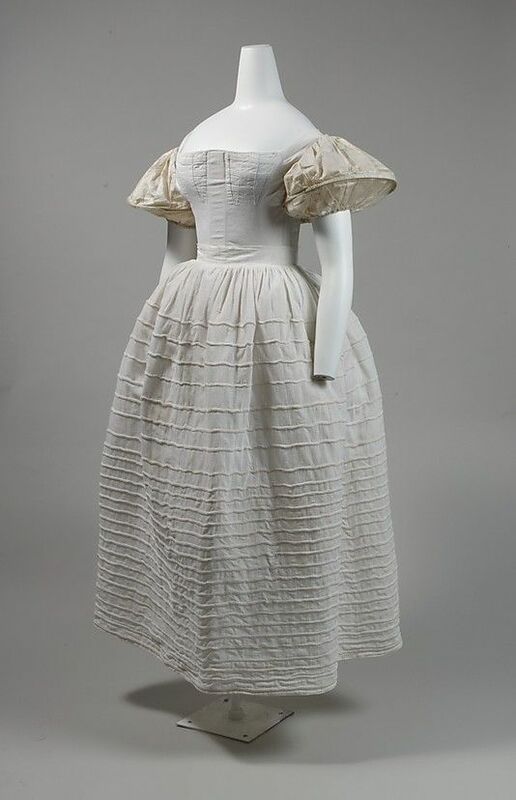 refer to garments clearly worn on top of a dress in this era. 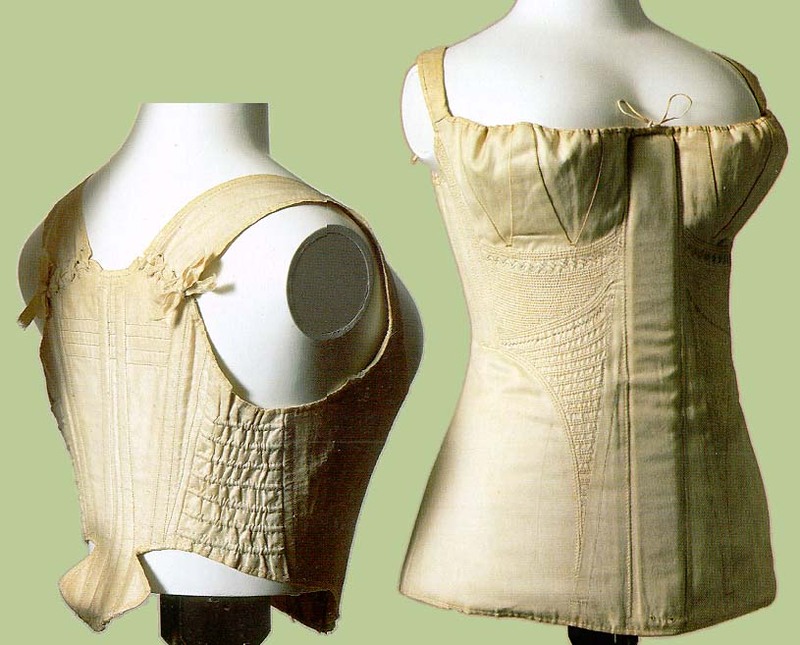 So just the fact that they called it a ‘corset’, does not mean it’s underwear. 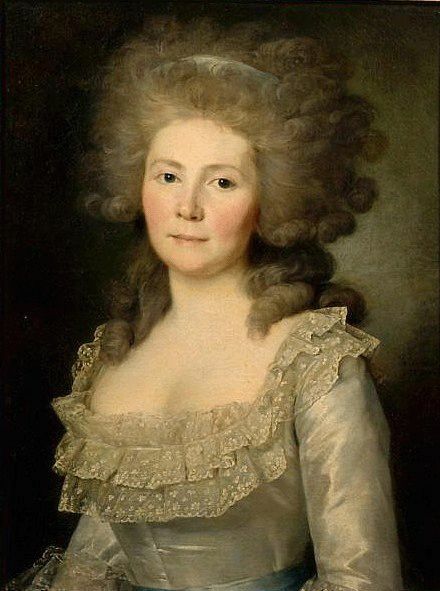 Description: Turban a la Gulnaire. 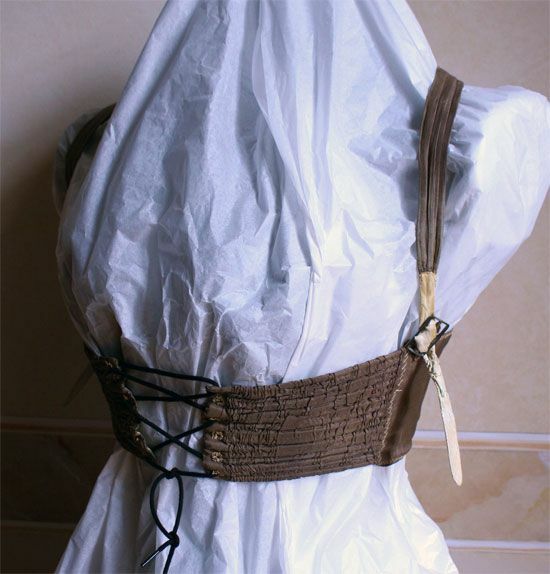 Corset et jupon a la Lisbeth. This pair actually seems to have the metal springs as well, but in the side. I couldn’t find a picture of the front, unfortunately, so it’s difficult to say what’s going on there. But this, at least, seems to prove that the metal springs were, in some cases, used in supportive underwear. 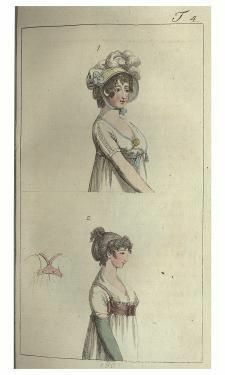 Another signal in this direction are these sketches from the ‘ Histoire naturelle, de la femme, suive D un traite D’ygiene’, by Lacroix, 1803. Foundations revealed have an article on the corset elastique describing these in more detail, the thing in the middle is a busk, which extends longer than the stays. And then a very helpful comment by Anna-Carin pointed me in the direction of a little book by J.S. Bernhardt, published in 1810/1811, on stays. 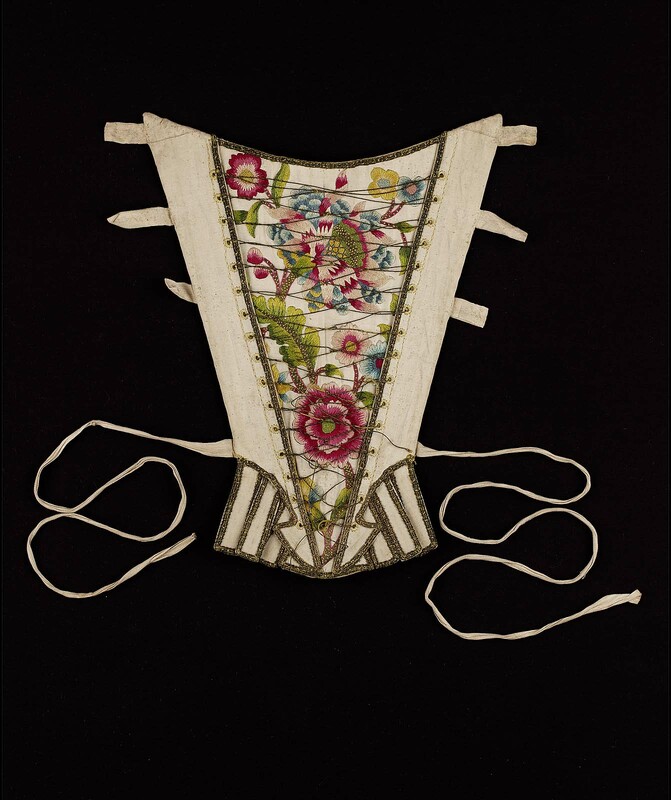 And she pointed out that there was a pattern in this book, which was remarkably like the corset elastiques shown! 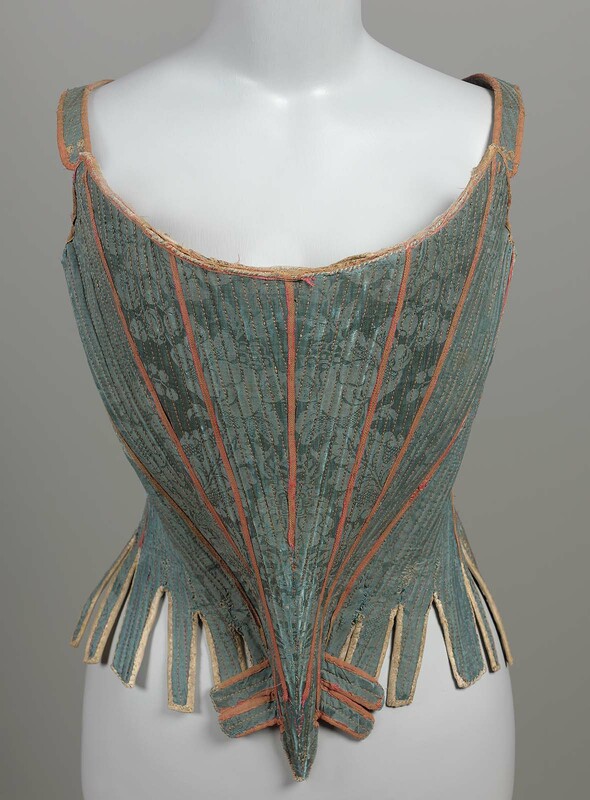 The description of this garment (page 95 & 96 in the book) clearly refers to the corset being ‘elastic’, calling the metal coils ‘gesponnene Draht’, instructing they should be two ‘Zoll’ shorter than the pattern panel. This ruching removes the need for a gusset in panel D (as the bottom automatically becomes gathered), and the shortness means no tabs are necessary over the hips either. So, conclusions? 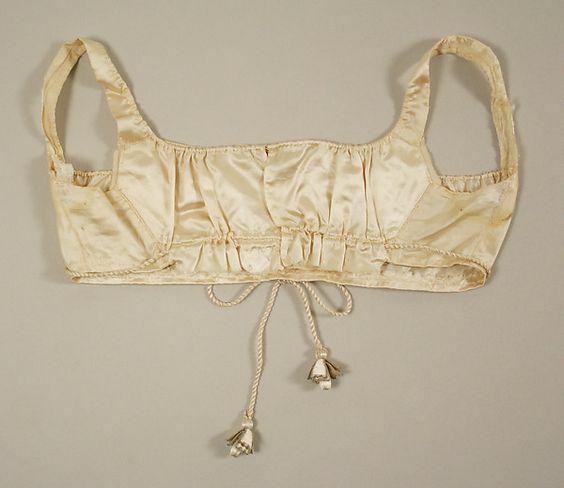 There seems to be at least some types of underwear which used metal springs to make the garment stretchy. 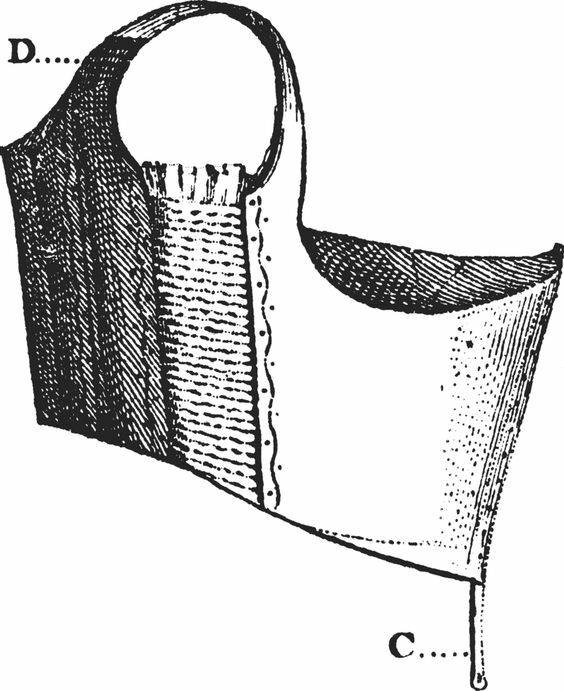 They are called ‘corset elastique’ (at least in French). 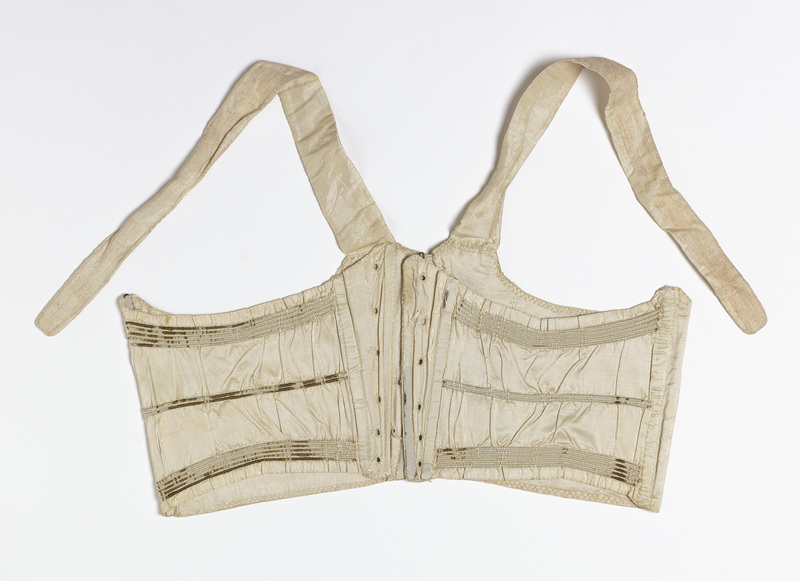 Similarly, there is a garment meant to wear on top of a dress, also called a ‘corset elastique’, which also has these metal springs. It’s quite difficult to tell what existent garments were meant as which, although the colored ones at least seam to point in the direction of outer wear.